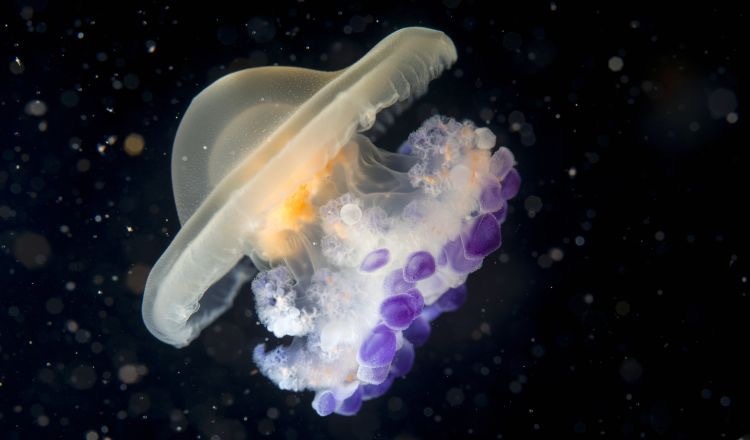 The Aquarium never seems to be at a loss for jellies. In fact, we are one of the most extensive culturing program in the United States! 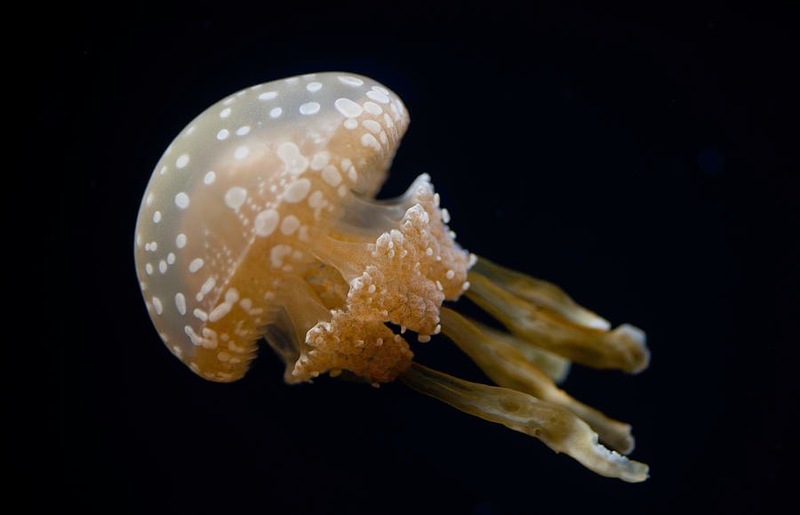 Our species range from lagoon jelly, starting at 4 inches in diameter, all the way to some species of sea nettle with a diameter more than 17 inches and a length from its mouth to its arms at 12 to 15 feet long! Take a look at the beauty and diversity of species you can see at the Aquarium. Most of sea jellies exhibits can be found on the lower level of the Aquarium, past the Shark & Ray Touch Tank and down the stairs on your way to the Turtle Rescue Team exhibit. 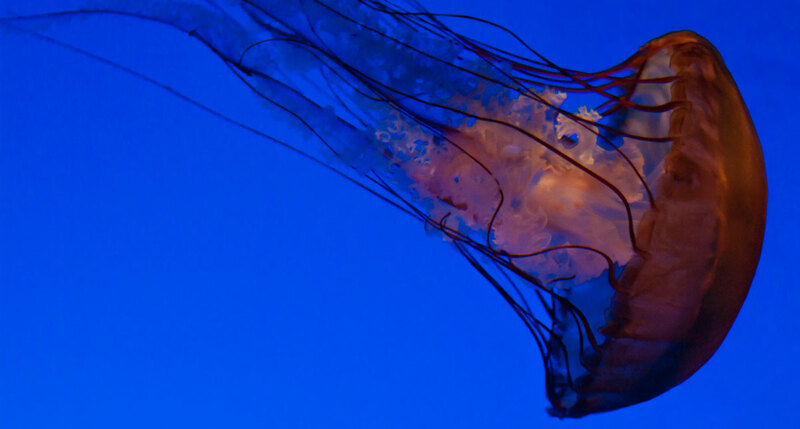 Here are some facts on a few of the jellies you can discover right now at the New England Aquarium! Our Curator of Fishes Steve Bailey and Senior Aquarist Chris Doller brought PBS News Hour Correspondent Miles O’Brien behind the scenes to see where we culture jellies. 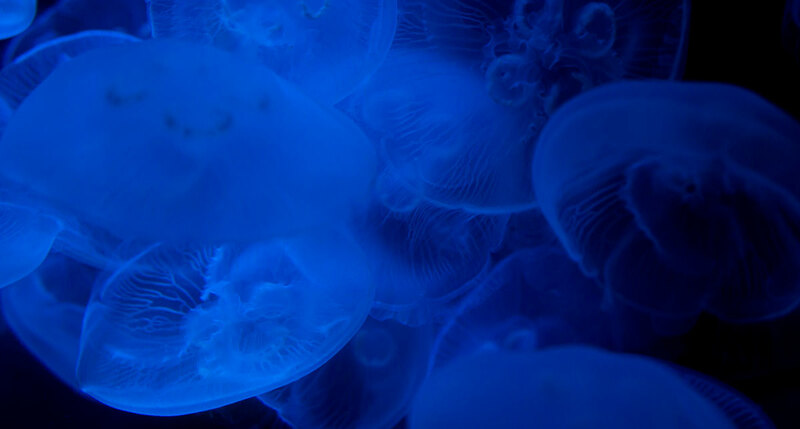 Watch the long-form segment on these brainless, boneless beauties and learn how they’re surviving in our changing oceans.